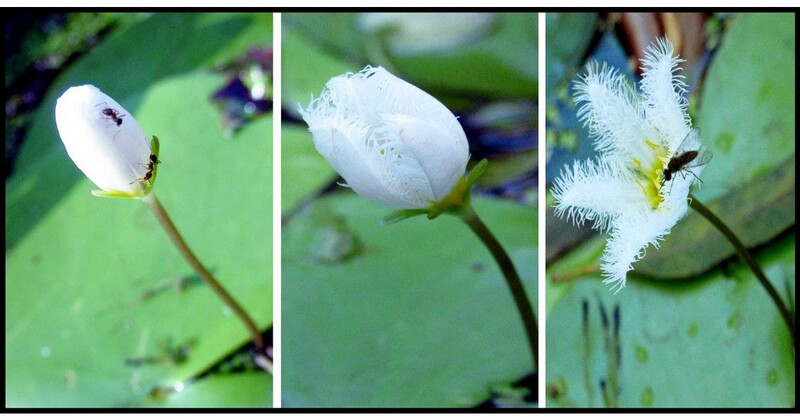 Every day the little native water lillies open up in the morning and then close again at night. Really like this! Love how the petals on the flower looks like feathers. Love all those frills on the petals. They seem to be attractive to ants and flies. Fav. What a lovely flower, and a very nicely captured series of shots too. Great time-lapse collage! It's fun to see the effect the ants have on the flower. Well done! Fascinating and a flower story-telling shot! This flower is gorgeous and love the series of photos. Interesting info about the little bee.